Europe is a major market for Ethiopian pepper. The product is also sold to non Ethiopian communities and has been gaining in popularity, according to exporters. For the first time since banning the product in 2016, Britain allowed two containers of hot pepper from Ethiopia into their country. However samples from three hot pepper exporters were rejected at a German laboratory last week. Hot pepper powder from Ethiopia was banned by the EU after being found to have unsafe levels of Aflatoxins and ochratoxin A. On Thursday May 11 a company run by Ethiopian Diaspora which imports Ethiopian pepper from two local companies was allowed to distribute the product in Britain after laboratory tests determined the hot pepper powder met European Union standards. Addisu Alemayehu, spice researcher and secretary general of Ethiopian Spice, Aromatic and Herbs Growers and Processors Association, confirmed that about USD 327,000 worth of pepper was distributed into the market as of Thursday. Despite good news however pepper exporters were not so lucky in Germany. “Their product sample was rejected by a German laboratory,” an exporter said. Aflatoxins and Ochratoxin are a daunting challenge for the Ethiopian hot pepper business, it is the spice Ethiopia exports the most. A delegation accompanying Prime Minister Hailemariam Dessalegn during his visit to London, met with representatives of the European Union to talk about the issue. The Ethiopian Embassy in London has been working hard to alleviate the situation by collaborating with importers based in Britain. Sources said that the embassy has also facilitated a meeting with EU representatives to talk about the hot pepper issue. Capital was unable to confirm if the discussions were held by the time it went to press. After discovering that the pepper was contaminated during the harvest and post harvesting handling period exporters have been forced to buy it at the farm, increasing the price of the pepper and the processing cost. Fasika Spice Plc is one of the major spice exporters to Europe. To get the pepper before harvest Fasika Spice Plc paid three times more to farmers than the market price and also had to pay additional logistical costs to get the pepper to the processing center. Five months ago the European Union issued a regulation magnifying safety issues regarding Ethiopian pepper powder. These types of restrictions on Ethiopian products have not been observed previously, according to experts. Exporters told Capital that they have been seriously affected by the ban. Most of their products have been returned to their origin at an additional cost. In a statement issued on December 1, 2016 under the title Commission Implementing Regulation (EU) 2016/2106 the European Union amended the Implementing Regulation (EU) No 884/2014 imposing special conditions governing the import of spices from Ethiopia. The regulation stated that since 2015, there have been several notifications in the Rapid Alert System for Food and Feed (RASFF) reporting high levels of aflatoxins and ochratoxin A in (mixtures of) spices from Ethiopia. “In order to protect human and animal health in the Union, it is necessary to provide for additional guarantees in relation to spices from Ethiopia,” it explained. Previous articleMedicine Hat residents travel to Ethiopia to provide medical and dental care. Ethiopian Newsweek is your news & entertainment website. 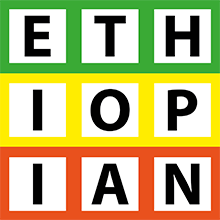 We provide you with the latest breaking news and videos straight from Ethiopia. © Copyright © 2018 Ethiopian Newsweek. All rights reserved.